Salespeople work best when they have a say in their own destiny. Hold on you say what about targets? Yes we agree that targets are essential and performance against target should be monitored closely and regularly. However, we’d say that the most important aspect of the Salesperson’s job is ownership of activity. If you’re a Salesperson, everything you do is QDQ! Are we doing enough activity? Are we doing it with the right people? Are we doing it with skill, knowledge and enthusiasm? Are we doing all of this with a positive and winning attitude? Obviously results are important, but it’s easy to get caught up in the maelstrom of ‘results, results, results’, and lose sight of how we find the best, most profitable (for you and for them), best fitting clients for your business. Defining your strategy and planning how you will deliver this strategy, constantly reviewing and refining it, to ensure that you stay on the right track. Focusing on the right activities will drive this strategy. The ‘how to’ deliver your strategy. Developing the Behaviours, Attitude, Skills and Knowledge of your Salespeople that lead to high performance in sales. Maintaining a high focus on best practice and the activities and behaviours that comprise high performance. High performing sales businesses identify the frequency and quality of sales & service and performance management activities. 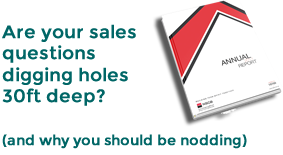 We believe this is the absolute key to high performance in sales. These practices should be devised by the Senior Management Team and should be in line with the agreed vision to dribe sales and service behaviours at the front line. Successful organisations are little more than the combined ability of their people to sell and service, and at the heart of great Sales and Service organisations are great Sales and Service coaches.